The Metropolitan Atlanta Youth Wind Ensemble (MAYWE) is comprised of seventy-five of the most outstanding high school wind and percussion players from throughout the metropolitan Atlanta area. 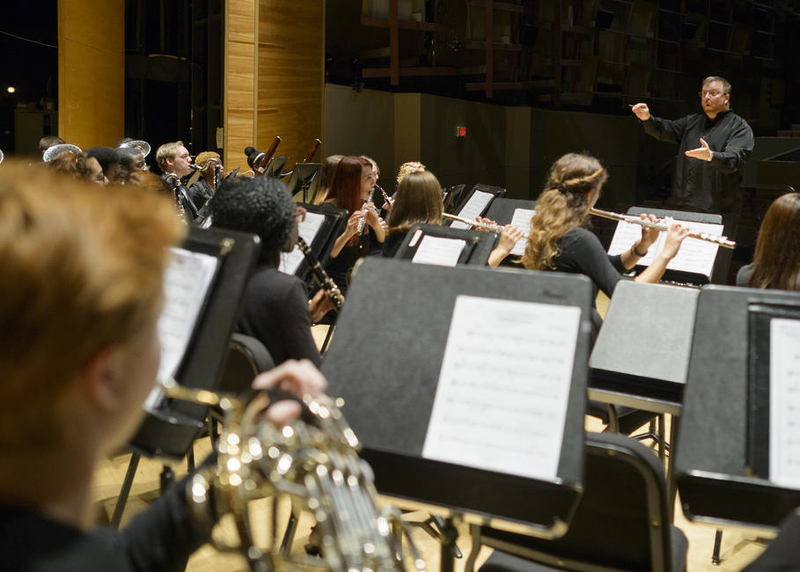 Under the direction of Mr. David W. Vandewalker, Coordinator of Performing Arts for the Fulton County School district, repertoire is chosen from the most significant literature written for symphonic band and wind ensemble. MAYWE students collaborate frequently with faculty artists from Georgia State University as well as members of professional orchestras in Atlanta. Students are given much personal attention through sectional rehearsals and coachings by Georgia State University faculty and graduate students.